Windows Server 2016 comes with al lot of new options and Hyper-converged is one of the new options. In this blog post I’ll show you what options you have when using VMM and S2D. 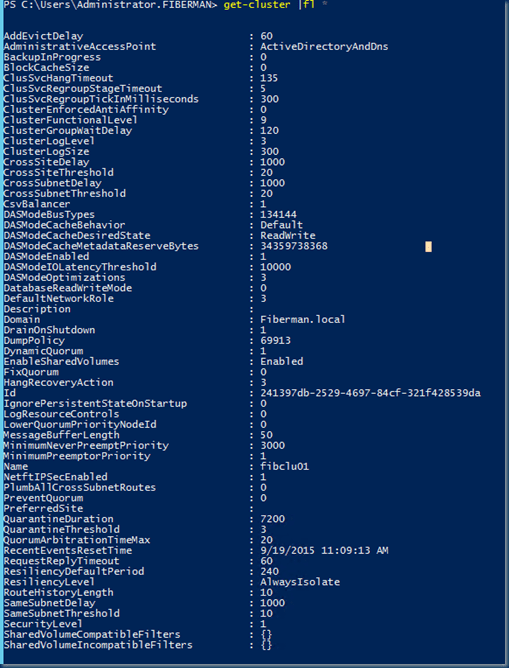 The tools are great but so is PowerShell and it always depends on what and how you are building things. Storage Spaces Direct is a bit like building a Do It Your Self San multiple heads lots of Storage can lose one Head , low costs. 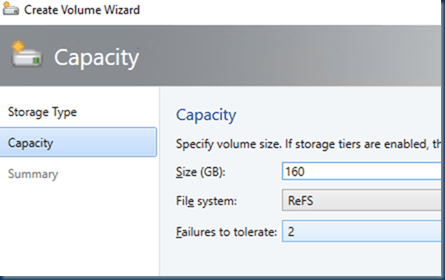 Storage Spaces Direct seamlessly integrates with the Hyper-V / Files Servers you know today. 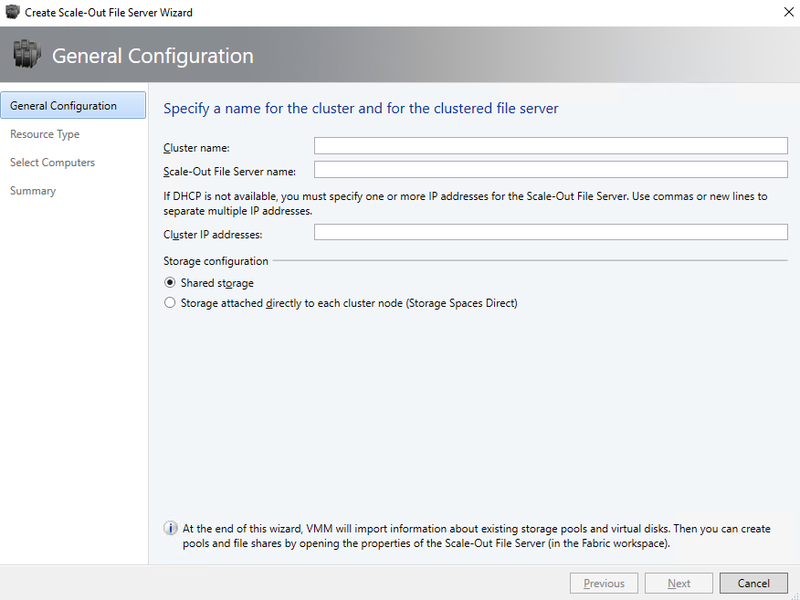 The Windows Server 2016 software defined storage stack, including Clustered Shared Volume File System (CSVFS), Storage Spaces and Failover Clustering. The hyper-converged deployment scenario has the Hyper-V servers and Storage Spaces Direct components on the same cluster. 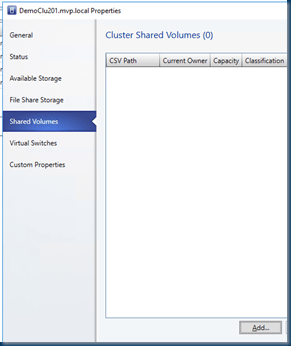 Virtual machine’s files are stored on local CSVs. 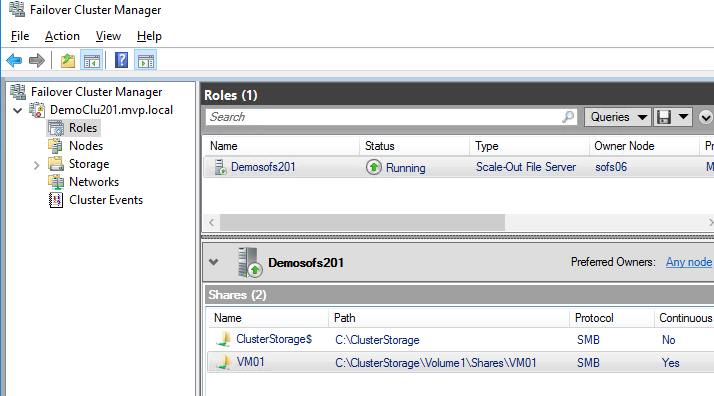 This allows for scaling Hyper-V clusters together with the storage it is using. 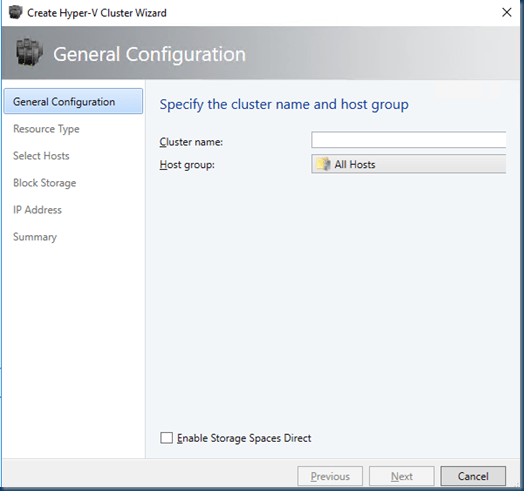 Once Storage Spaces Direct is configured (Enable-ClusterS2D) and the CSV volumes are available, configuring and provisioning Hyper-V is the same process and uses the same tools that you would use with any other Hyper-V deployment on a failover cluster. 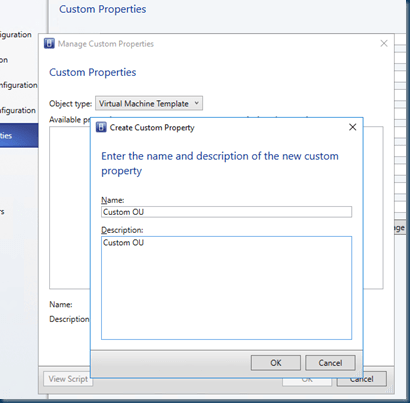 but now with System Center Virtual Machine Manager 2016 we can also configure this during the deployment. 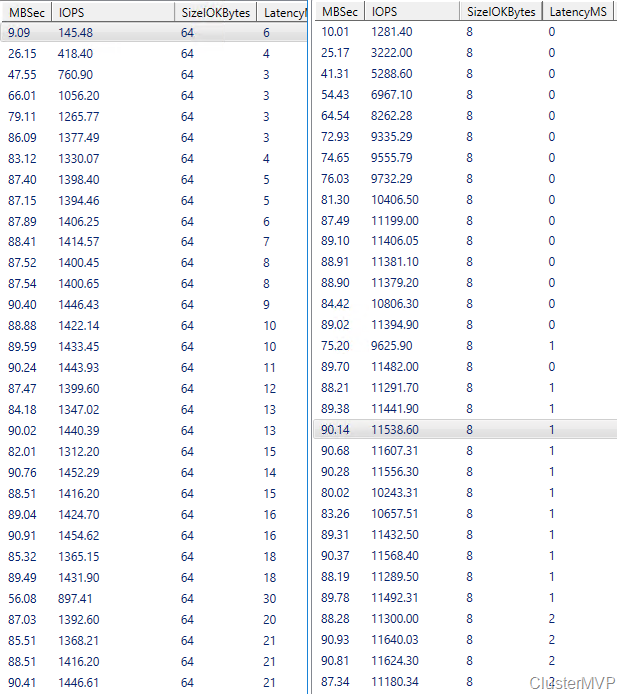 Above are the layers shown, as you can see the Storage is defined in 3 parts physical disks, spaces and the CSV volumes. 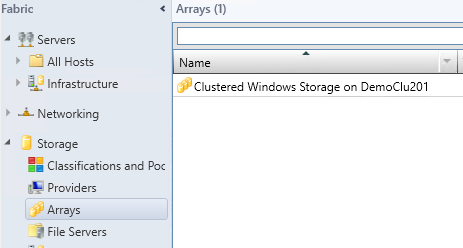 So basically we can configure the cluster with Storage Spaces Direct by hand (PowerShell) or if you are using VMM you can do this by using templates and the GUI. but is this the same and is this handy ? 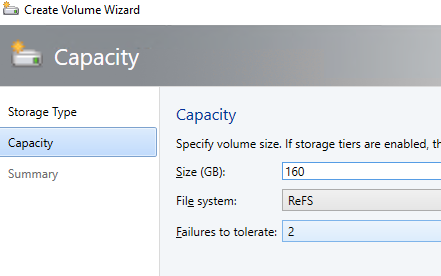 The only change I did in this post is create a Scale out file server to use the Storage Spaces Direct volumes. Well it is nice that you can do this but when configuring this by hand it gives you much more flexibility and configuration and yes maybe more complex but understanding the method is better than following a wizard. 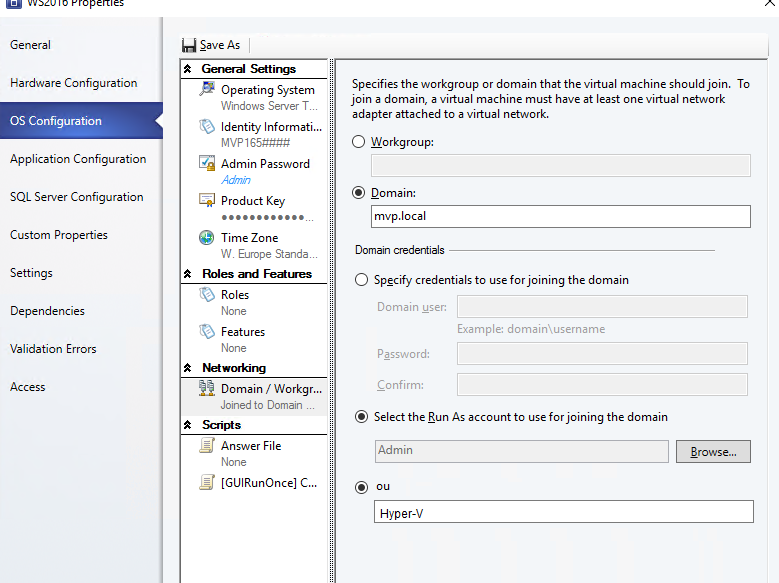 Let see the options we have in VMM there are a couple of ways to configure this it all depends. 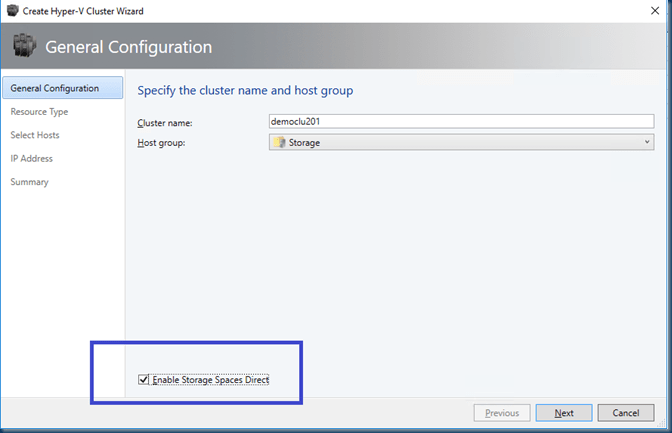 Create a Hyper-V cluster and tap the enable Storage Spaces Direct option. Or Create a Scale Out file server and check what you want shared Storage or enable Storage Spaces Direct option. 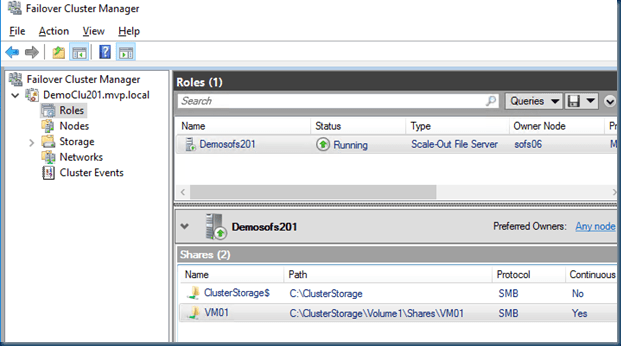 But you can also Create the cluster in VMM and configure later the Storage Spaces Direct. 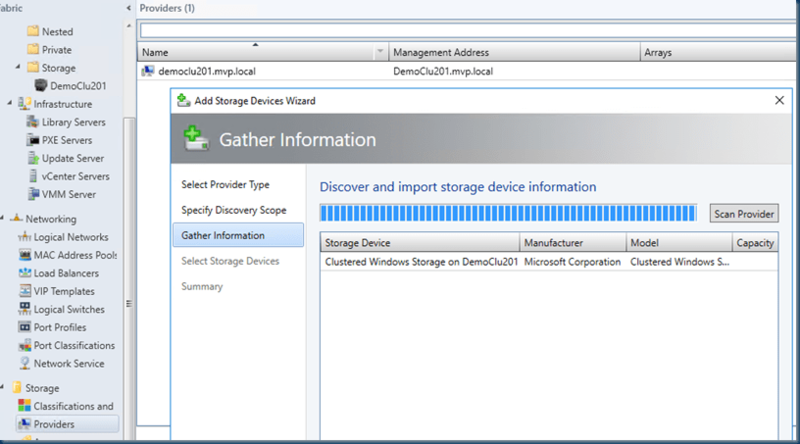 The fact is that VMM 2016 can create and maintain the Storage layer. all from a single interface. first let me check of all the disks on the server. Storage Spaces Direct uses BusType and MediaType to automatically configure caching, storage pool and storage tiering. 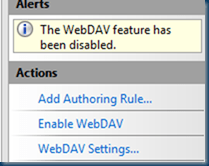 In Hyper-V virtual machines, the media type is reported as unspecified. So if you are using tools that are expecting certain types of disk you need to fix this. else when running the cluster validation the cluster creation will fail. Found a disk with unsupported media type on node ‘Sofs02.mvp.local’. Supported media types are SSD and HDD. 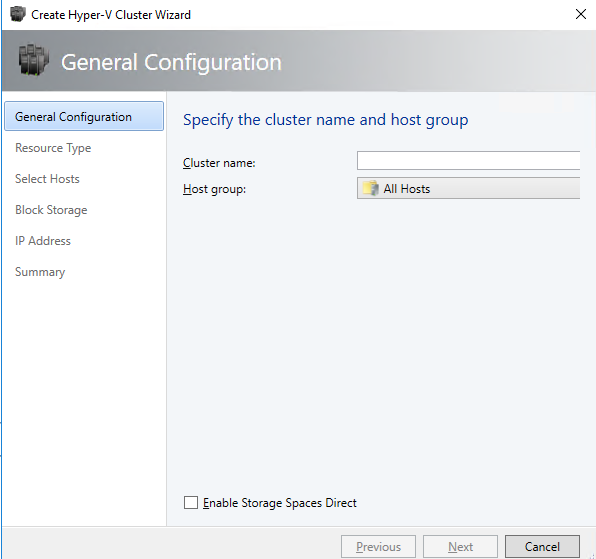 Step one is creating a Hyper-v cluster. 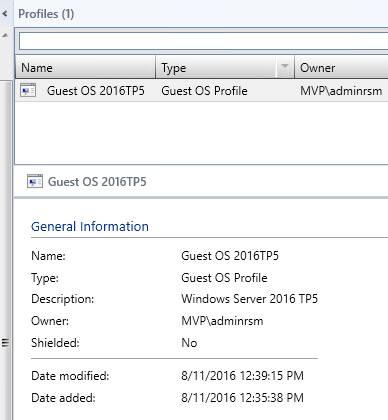 As my servers are in the Storage VMM host group I’ll pick this group. 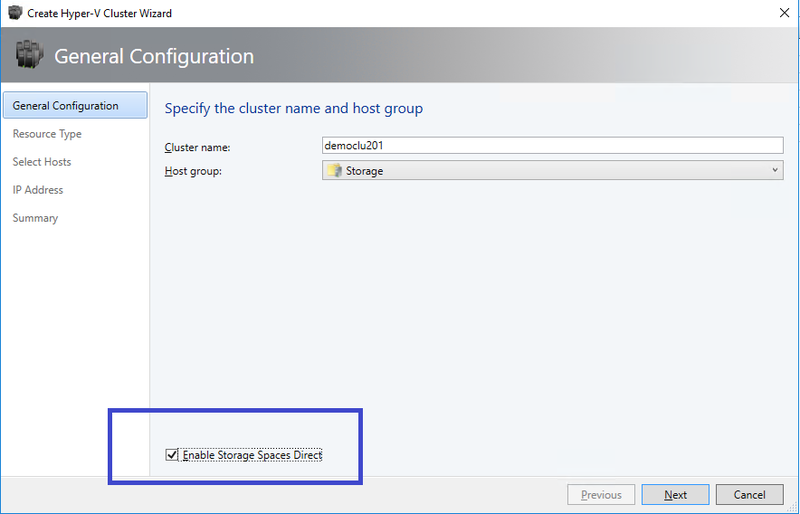 Give the cluster a name and Check the Storage Spaces Direct check box. New-Cluster –Name Democlu201 -Node “sofs02”,”sofs04”,”sofs06”,”sofs08” -NoStorage -StaticAddress "10.255.255.110"
The big difference here is you can’t customize this cluster during this step so no Quorum or any other settings. 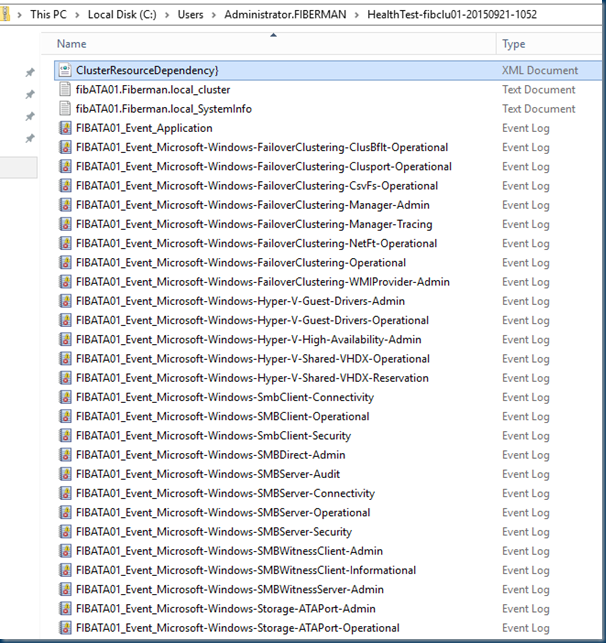 All the tasks are running an in a few minutes we have a Cluster that holds a Storage Space Direct unless it Fails the cluster validation test. 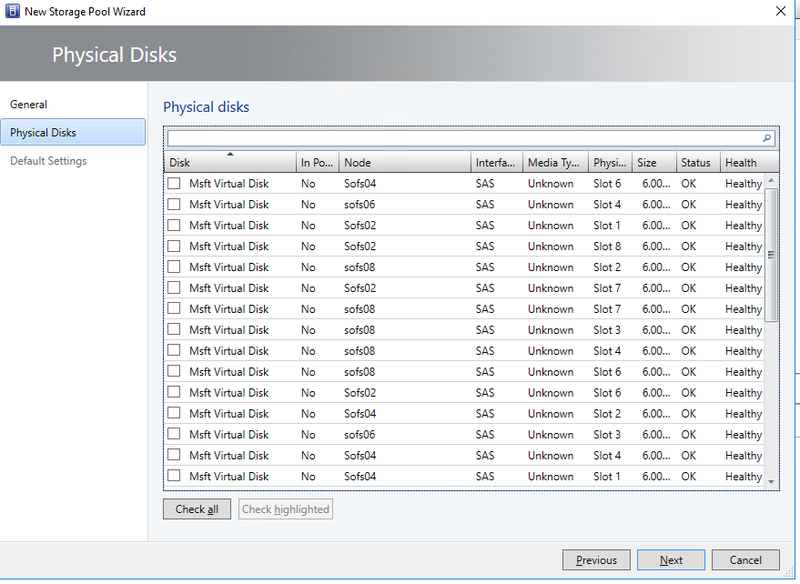 If you are using the S2D you must run the Cluster validation test and remember only SSD and HDD media type Disks are supported. So if the media type is unspecified or unknown the Validation report will fail and so is this job. In our case the job went successful and the cluster with Storage Space Direct is ready for usage. 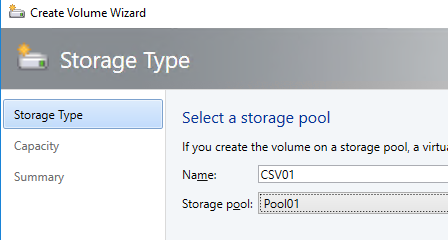 Now that the cluster is ready you can use the Storage after creating the pool. 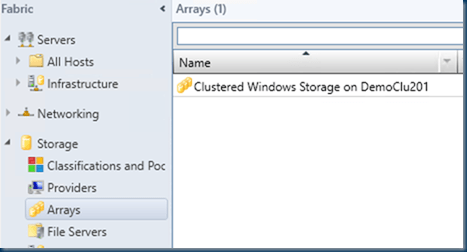 And if you already have build a hyper-converged Cluster Hyper-V servers and Storage Spaces Direct components then you can us this also in VMM. Now that the Cluster is added we can create a Pool. 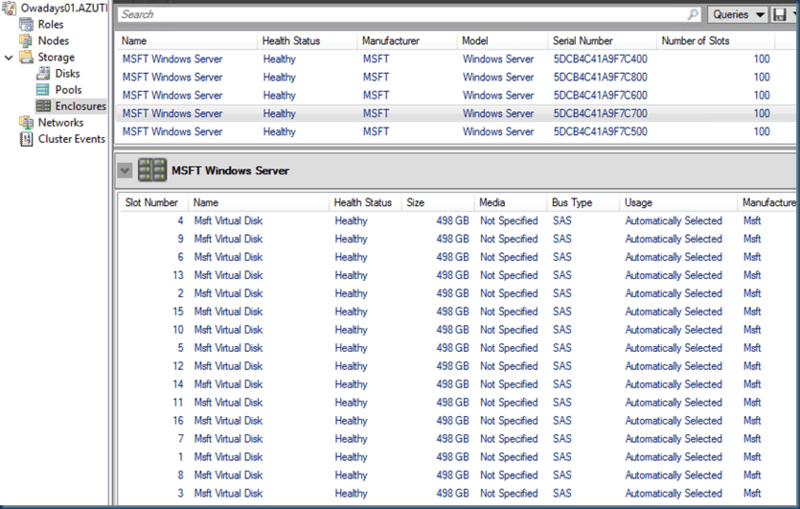 Or check your Cluster under Storage en Enclosures Every server is listed as his own enclosure. We create a New Pool and if you not created a Classification you will need to do this to. Give this a name and Pick the disk that you want I select all the Disk and use them for one big Pool. 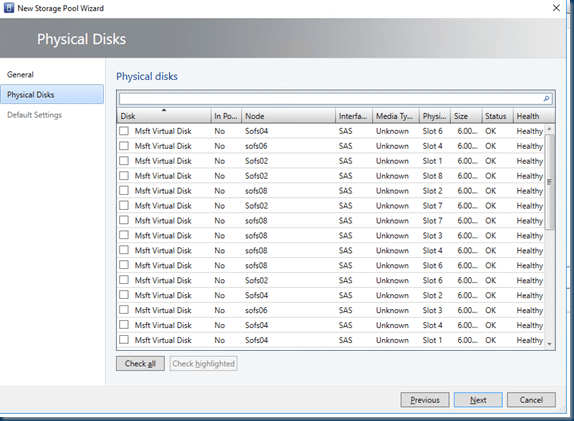 Creating the disk can be a little confusing in the VMM GUI as you need to press Cancel and OK.
How can this guide help you? You can use this guide and the Software-Defined Storage Design Calculator spreadsheet to design a storage solution that uses the Storage Spaces and Scale-Out File Server functionality of Windows Server 2012 R2 along with cost-effective servers and shared serial-attached SCSI (SAS) storage enclosures. 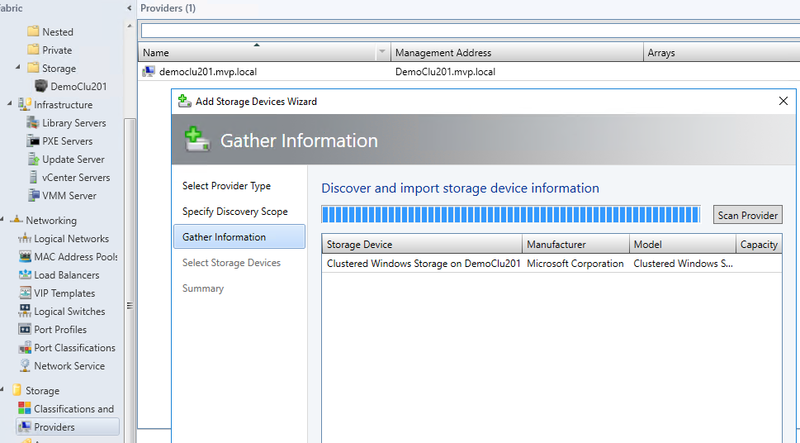 As you can see I created a Scale out file server and used the Storage Spaces Direct as storage. 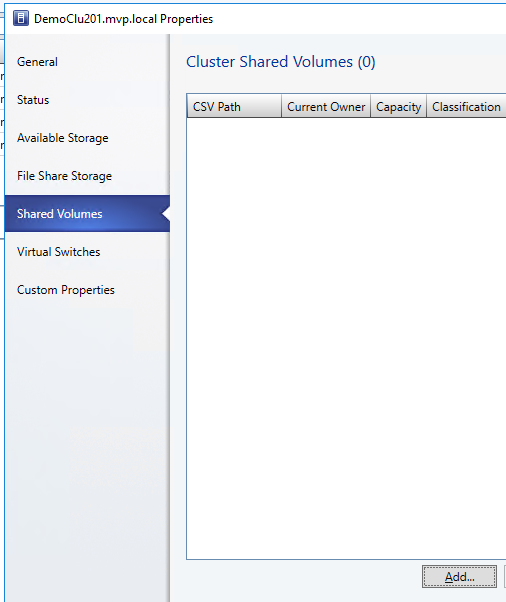 New-SmbShare –Name VM01 -Path C:\ClusterStorage\Volume1\shares\VM01 -FullAccess "mvp\Domain Admins"
Now that the File share and SOFS is in place we can add the share to the hyper-v server or cluster for usage. 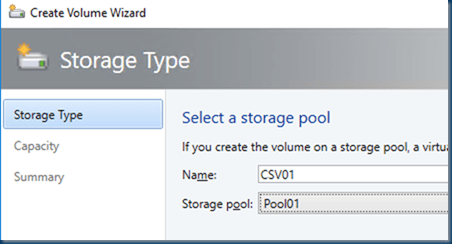 When creating a VM we can use the Storage Spaces Direct to place a VM but as you can see in this post there are several methods to do things and each option has a different choice the right one well it is all on you and it depends. see this table below with the pros and cons. 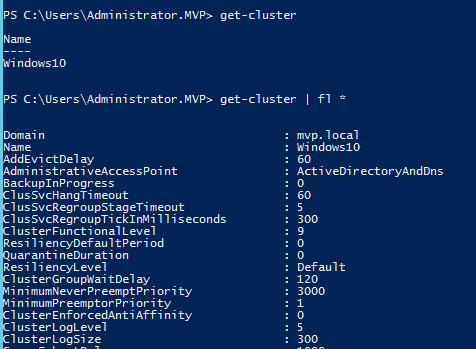 After writing this post I can see If you should do this then I would use PowerShell to build the cluster and Storage Spaces direct and add them to VMM but for deploying the basics VMM could be very handy but it all depends on your infra structure. The VMM option is really great but for me it takes to long to do stuff and often the job fails because I made a typo or the naming is not the way I want it. And the usage of the Storage Spaces Well the Hyper-Converged option vs the Converged option it has it challenges and it all depends on the hardware you have. 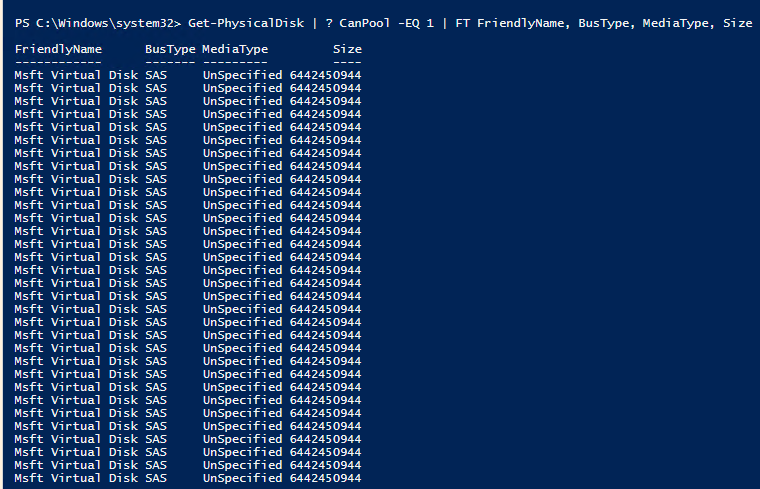 but for my testlab or in Azure S2D runs great. Sometimes you need some fast machines and a lot of IOPS. 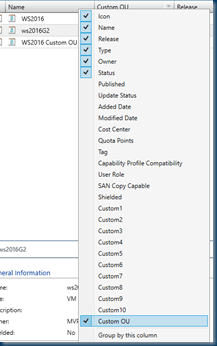 SSD is the way to go there but what if your site is in Azure ? Well build a high performance Storage space is Azure. 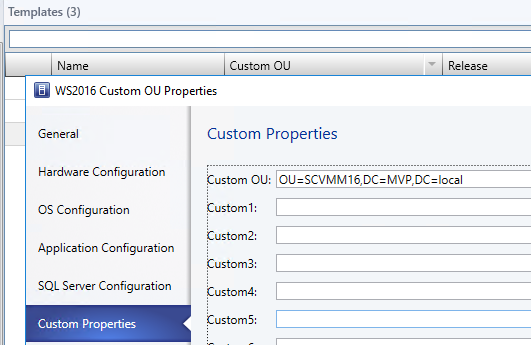 Remember this setup will cost you some money or burn your MSDN credits is just one run. 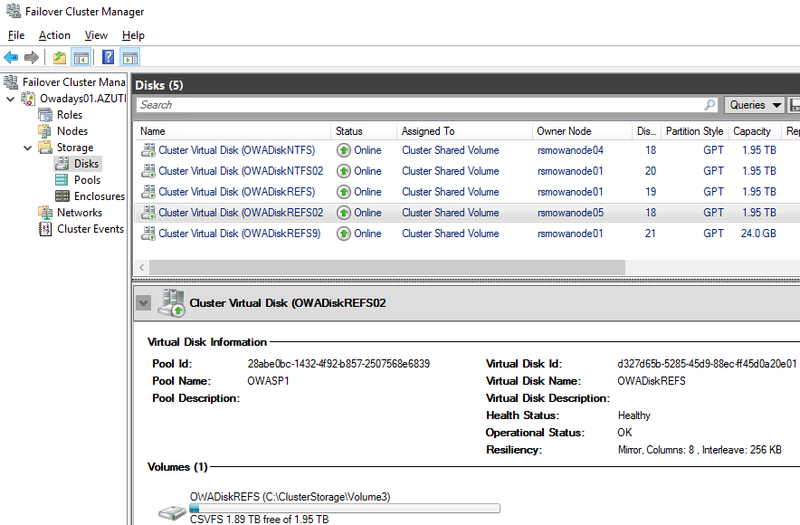 My setup is using several storage account and a setup of a 5 node cluster with a cloud witness and each node has 16 disk. As the setup is based on Storage spaces direct I build a 5 node cluster. 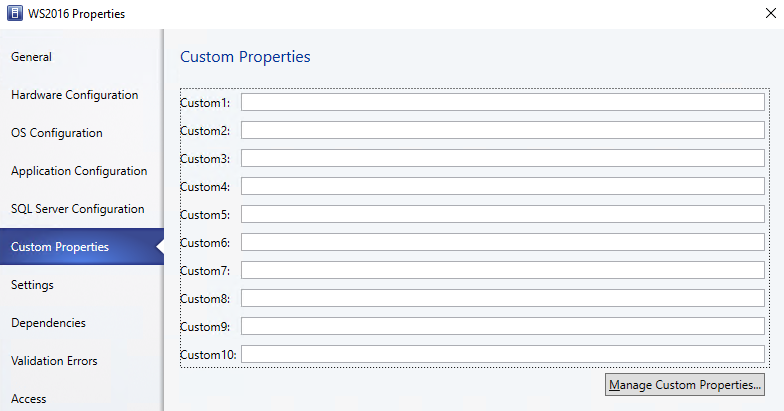 Some options are not needed but for my demo I need them in case you thought he why did he install this or that. install-WindowsFeature "Failover-Clustering","RSAT-Clustering","File-Services", "Failover-Clustering","RSAT-Clustering -IncludeAllSubFeature –ComputerName "rsmowanode01.AZUTFS.local"
I add the other nodes later. New-Cluster -Name Owadays01 -Node "rsmowanode01.AZUTFS.local" -NoStorage -StaticAddress "10.0.0.20"
I have currently not all needed but you will never know. 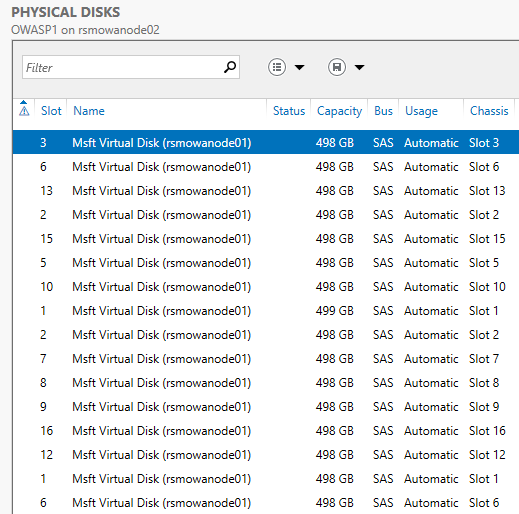 As I prep all my Azure VM’s in PowerShell here is an example on how to add the disk to the azure VM. As I need 16 disk for 5 nodes that are 80 disk with a 500 GB size 40 TB raw disks. 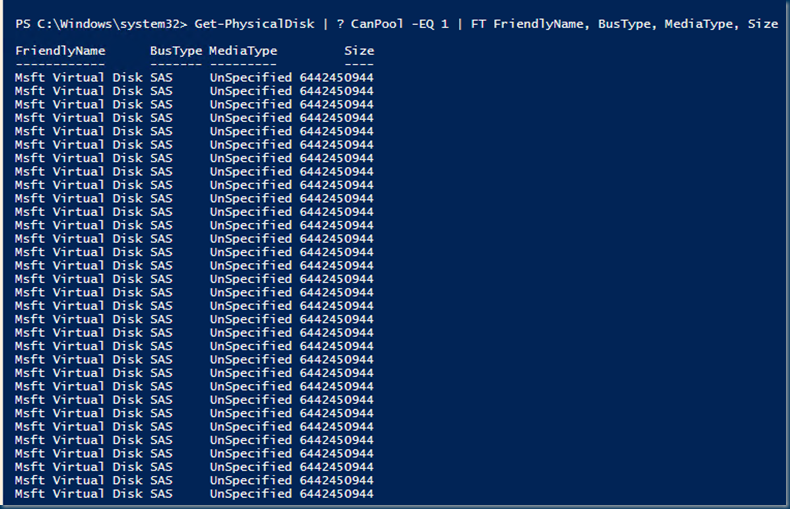 The powershell Sample command to create the disks. what you just did is making the local disk turn in to usable cluster disk. Mirroring refers to creating two or more copies of data and storing them in separate places, so that if one copy gets lost the other is still available. Mirror spaces use this concept to become resilient to one or two disk failures, depending on the configuration. Take, for example, a two-column two-way mirror space. Mirror spaces add a layer of data copies below the stripe, which means that one column, two-way mirror space duplicates each individual column’s data onto two disks. Assume 512 KB of data are written to the storage space. For the first stripe of data in this example (A1), Storage Spaces writes 256 KB of data to the first column, which is written in duplicate to the first two disks. For the second stripe of data (A2), Storage Spaces writes 256 KB of data to the second column, which is written in duplicate to the next two disks. The column-to-disk correlation of a two-way mirror is 1:2; for a three-way mirror, the correlation is 1:3. Reads on mirror spaces are very fast, since the mirror not only benefits from the stripe, but also from having 2 copies of data. The requested data can be read from either set of disks. If disks 1 and 3 are busy servicing another request, the needed data can be read from disks 2 and 4. Mirrors, while being fast on reads and resilient to a single disk failure (in a two-way mirror), have to complete two write operations for every bit of data that is written. One write occurs for the original data and a second to the other side of the mirror (disk 2 and 4 in the above example). In other words, a two-way mirror requires 2 TB of physical storage for 1 TB of usable capacity, since two data copies are stored. In a three-way mirror, two copies of the original data are kept, thus making the storage space resilient to two disk failures, but only yielding one third of the total physical capacity as useable storage capacity. If a disk fails, the storage space remains online but with reduced or eliminated resiliency. If a new physical disk is added or a hot-spare is present, the mirror regenerates its resiliency. Note: Your storage account is limited to a total request rate of up to 20,000 IOPs. You can add up to 100 storage accounts to your Azure subscription. 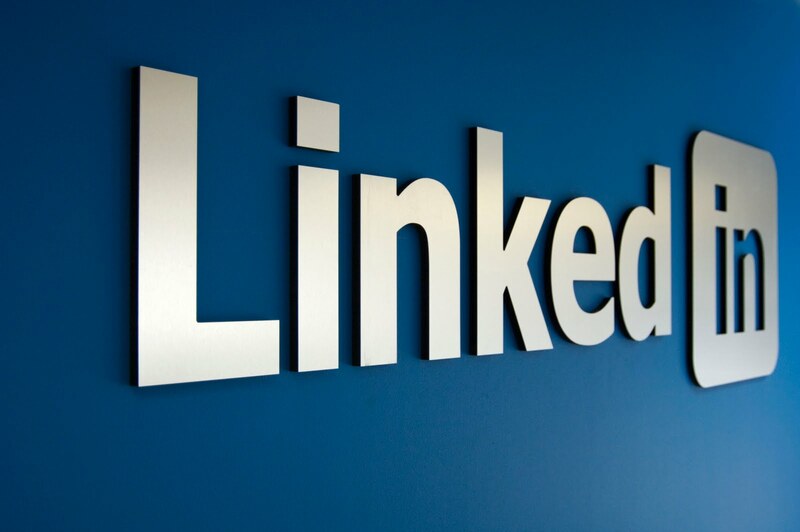 A storage account design that is very application- or workload-centric is highly recommended. In other words, as a best practice, you probably don’t want to mix a large number of data disks for storage-intensive applications within the same storage account. 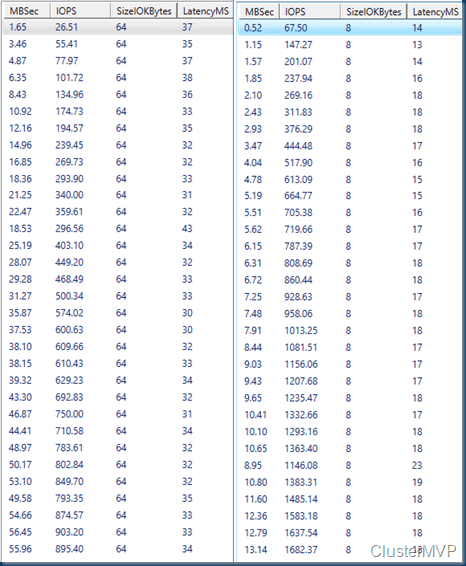 Note that the performance profile for a single data disk is 500 IOPs. Consider this when designing your overall storage layout. 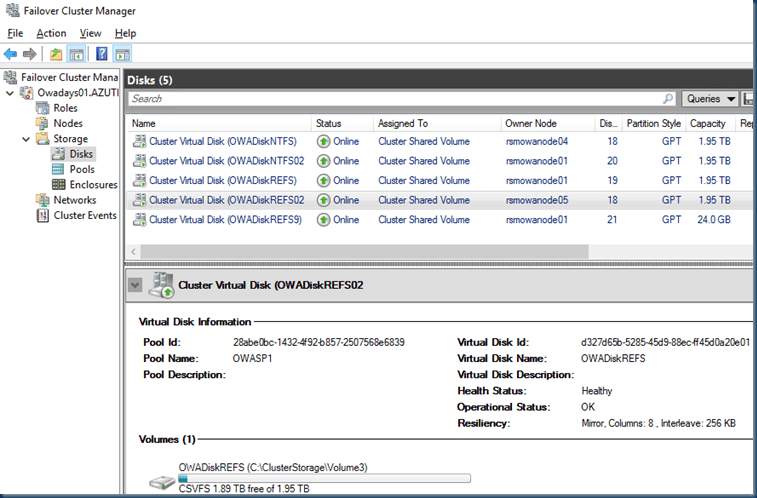 With some disk changes and creation you can say the REFS with clustered shared volume is about 100x as fast! Now that we have Cluster Storage I’m using this for the SOFS. Adding the disk and the next test is ready. so a 1TB disk creation is not much slower than a 100GB file remember these are fixed files. When I do this on the NTFS volume and create a 100GB fixed disk this took forever after 10 Min I stopped the command. this is why you always do a quick format on a ntfs disk. 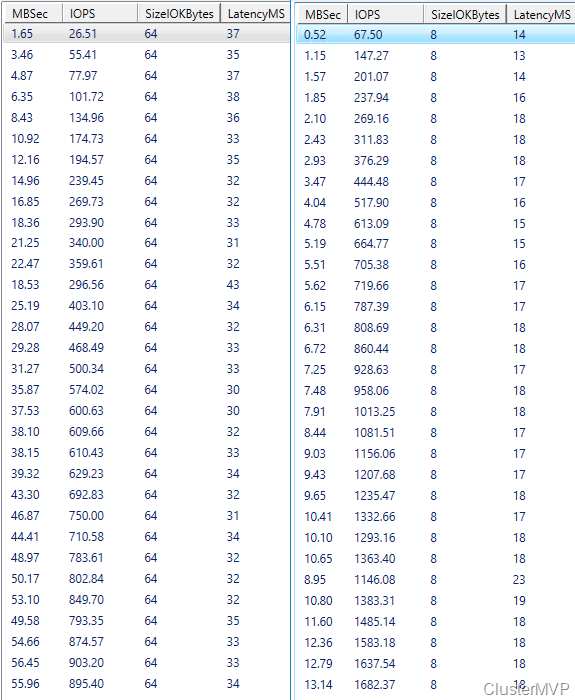 A 1Gb disk creation is a better test as you can see this is around 8 times slower with a 1000x smaller disk. 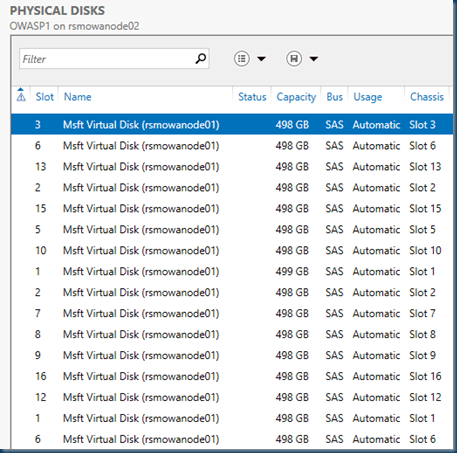 So the disk creation is way way faster and when using this in a Hyper-v deployment the VM creation is way way faster en also the copy of files. When using a little 10 sec burst we got high rates but this is not the goal. 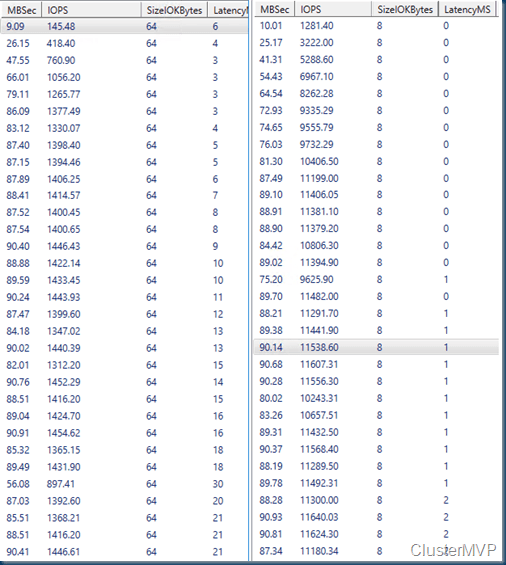 So basically you get much more IOPS then on a normal single disk but it all depends on block size configuration and storage usage normal or premium. The main thing is if you want fast iops and machines it can be done in Azure it Will cost you but it is also expensive on premise. 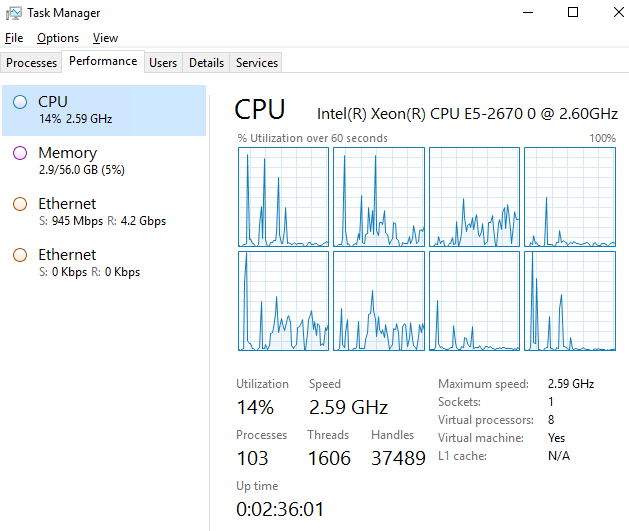 A8 and A9 virtual machines feature Intel® Xeon® E5 processors. Adds a 32 Gbit/s InfiniBand network with remote direct memory access (RDMA) technology. Ideal for Message Passing Interface (MPI) applications, high-performance clusters, modeling and simulations, video encoding, and other compute or network intensive scenarios. 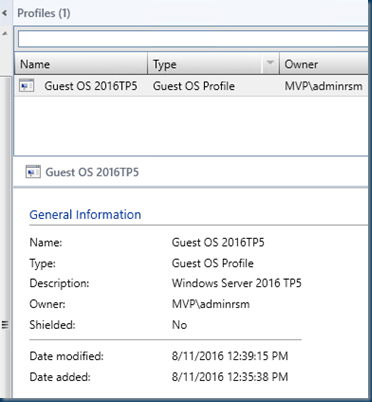 A while a go I created a blog post about all the new properties in Windows Server 2016 Clustering. Well now that we are close the the RTM version a lot of things has changed and naming is different so time for a refresh with a new twist. 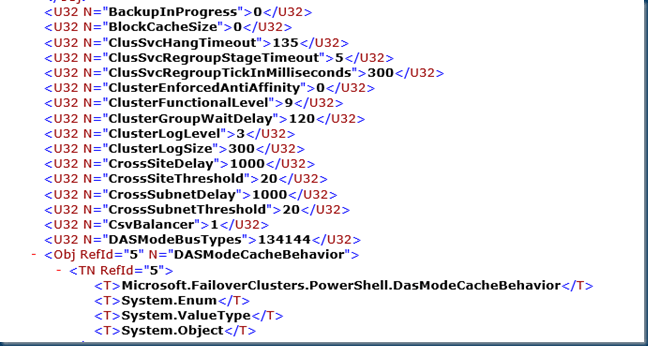 And a lot of new Options are there in the Cluster in the next post I’ll dig them up and show the options. But what If we check the Powershell Commands. This is a long list but showing this list the GET commands are giving you instant results. 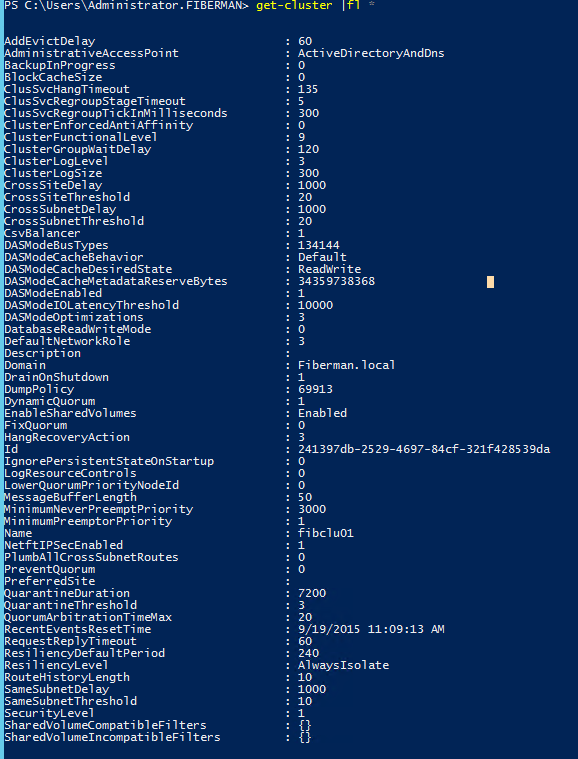 It is like the Cluster Diagnostics and Verification Tool (ClusDiag.exe) but now alll is build in in a single powershell command. The Get-ClusterDiagnostics runs a health test and zips in one file real nice for troubleshooting and for archive one set next to the Cluster Validation set. 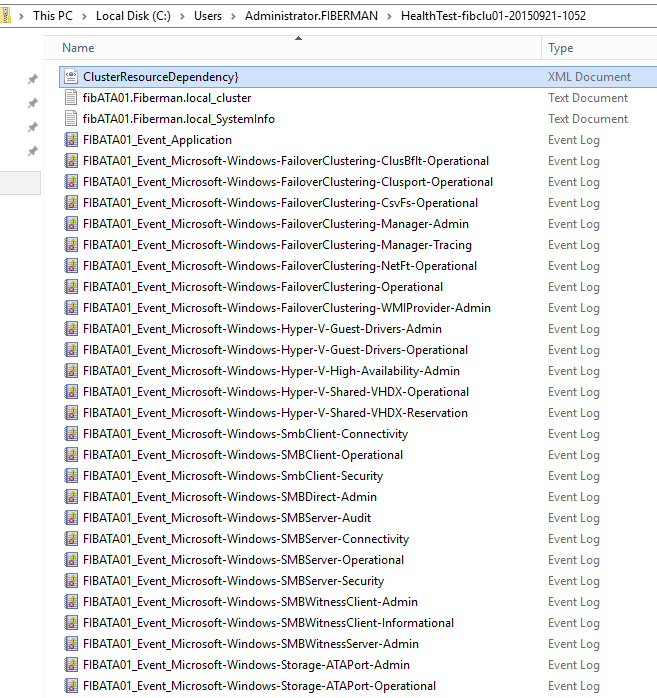 In the zip file are all the event logs and Cluster Configuration there is also a list of all the configuration items with values. In this case the cluster has only one node so there is only one node displayed. But is this the same as the cluster validation report ? 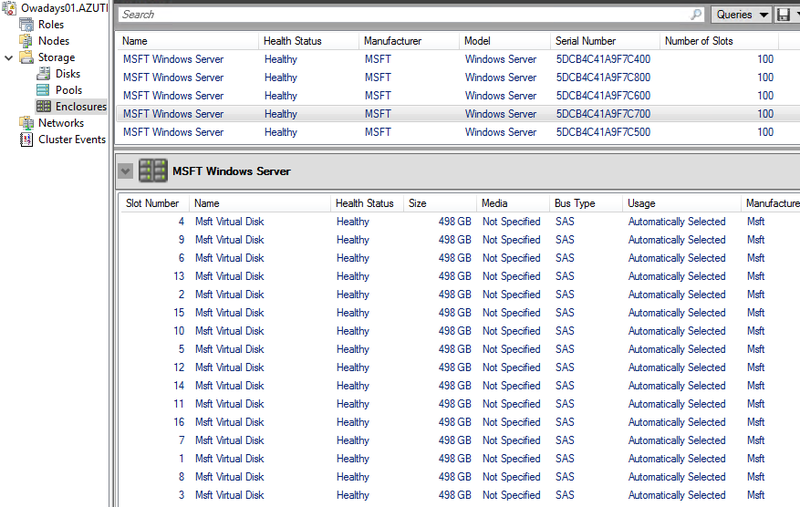 No this is not the same and yes it may contain some of the same info but for troubleshooting Both could be very handy. Consider a two-node MNS quorum cluster. Because an MNS quorum cluster can only run when the majority of the cluster nodes are available, a two-node MNS quorum cluster is unable to sustain the failure of any cluster node. This is because the majority of a two-node cluster is two. To sustain the failure of any one node in an MNS quorum cluster, you must have at least three devices that can be considered as available. 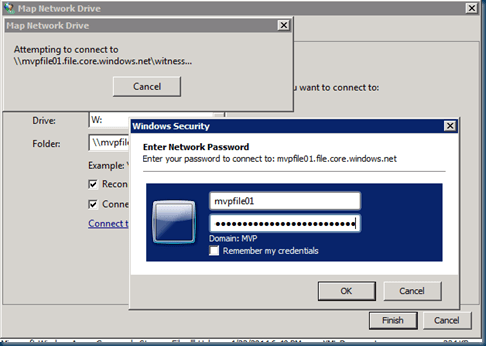 The file share witness feature enables you to use an external file share as a witness. This witness acts as the third available device in a two-node MNS quorum cluster. Therefore, with this feature enabled, a two-node MNS quorum cluster can sustain the failure of a single cluster node. This is not new and you can configure this even on a windows server 2003. but did you know you can use Azure a cloud witness yes even for 2003. but it will not work out of the box. special handling is needed. and this keeps me thinking what code had windows server 2016 build in that can do this fun part. I have a couple of clusters like in a museum 2003,2008 etc up to 2016. Checking the Cluster Quorum Currently local. As Windows Server 2003 & 2008 are not in my scope anymore I will not go into depth on how to configure this. 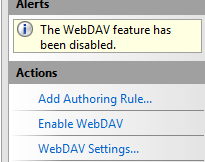 but you should look in the webDAV options. 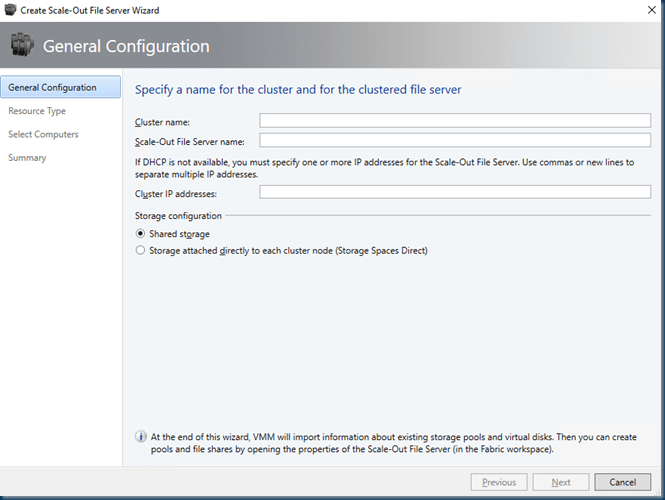 But In Windows Server 2016 it is easy there is already an option in the Cluster manager to do this in the Azure Cloud. This looks easy but you will need to create a storage account in Azure first and copy and past the Password. 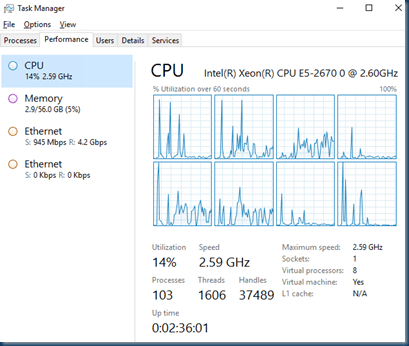 What’s new in Windows Server 2016 well there are a lot of new features in the windows server 2016 in the next view blogs I’ll select an item on a how to use this new feature or how to use this. Below is a short list of all the new items that are in windows server 2016 and maybe not all items are directly usable in your environment it may be a nice to have thing so take a look at the new items. 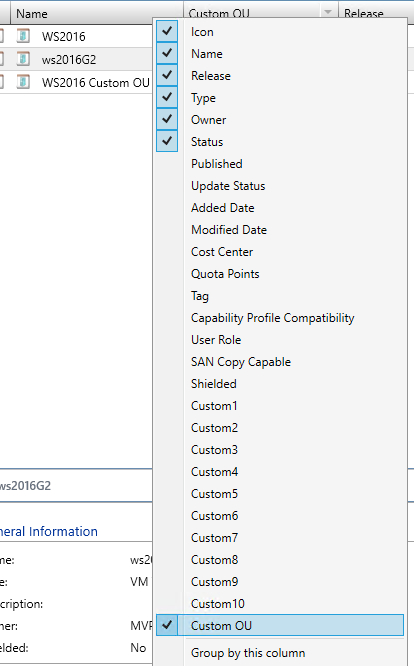 What’s New in Active Directory Federation Services. 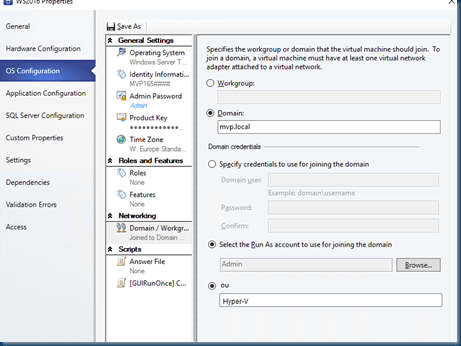 Active Directory Federation Services (AD FS) in Windows Server 2016 Technical Preview includes new features that enable you to configure AD FS to authenticate users stored in Lightweight Directory Access Protocol (LDAP) directories. .
A new feature in Failover Clustering, Cluster Operating System Rolling Upgrade, enables an administrator to upgrade the operating system of the cluster nodes from Windows Server 2012 R2 to Windows Server 2016 Technical Preview without stopping the Hyper-V or the Scale-Out File Server workloads. Using this feature, the downtime penalties against Service Level Agreements (SLA) can be avoided. Storage Replica (SR) is a new feature that enables storage-agnostic, block-level, synchronous replication between servers or clusters for disaster recovery, as well as stretching of a failover cluster between sites. Synchronous replication enables mirroring of data in physical sites with crash-consistent volumes to ensure zero data loss at the file-system level. Asynchronous replication allows site extension beyond metropolitan ranges with the possibility of data loss. 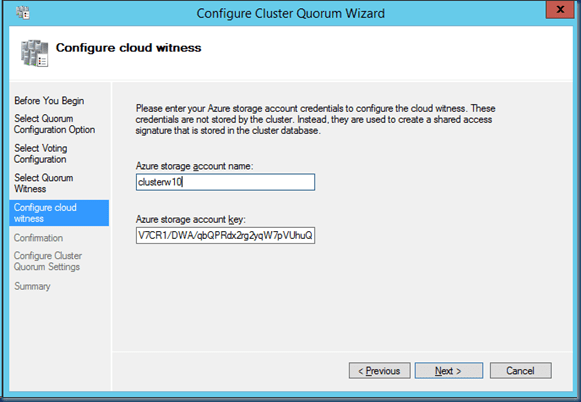 Cloud Witness is a new type of Failover Cluster quorum witness in Windows Server 2016 Technical Preview that leverages Microsoft Azure as the arbitration point. The Cloud Witness, like any other quorum witness, gets a vote and can participate in the quorum calculations. 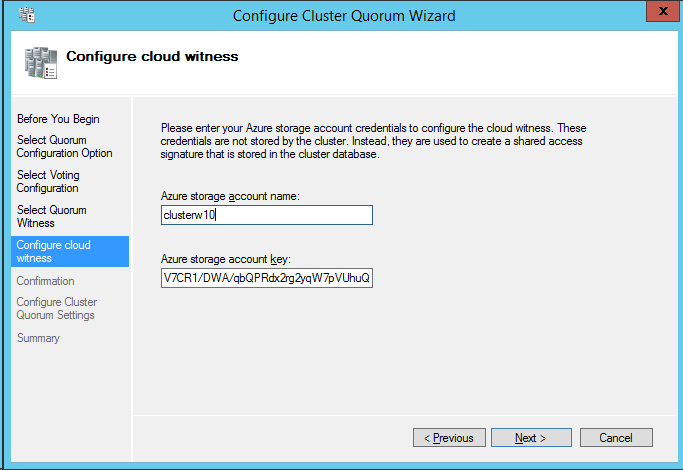 You can configure cloud witness as a quorum witness using the Configure a Cluster Quorum Wizard. 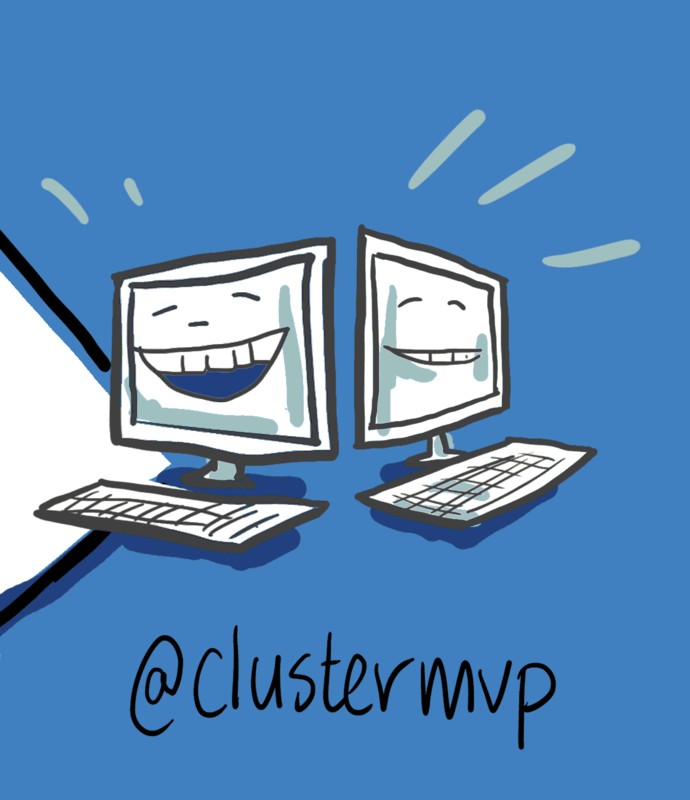 Several enhancements to cluster log files (such as Time Zone Information and DiagnosticVerbose log) that makes is easier to troubleshoot failover clustering issues. 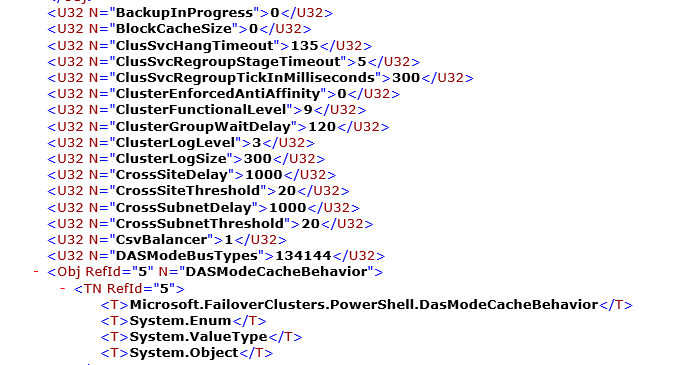 A new a dump type of Active memory dump, which filters out most memory pages allocated to virtual machines, and therefore makes the memory.dmp much smaller and easier to save or copy. 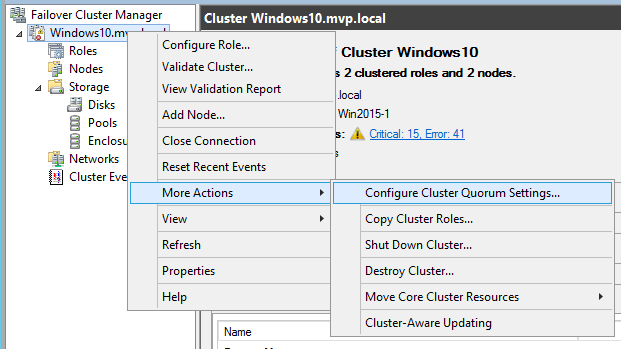 Windows Server 2016 Technical Preview includes site- aware failover clusters that enable group nodes in stretched clusters based on their physical location (site). Cluster site-awareness enhances key operations during the cluster lifecycle such as failover behavior, placement policies, heartbeat between the nodes, and quorum behavior.